Our Christmas lunch, again held at The Walhampton Arms, was very enjoyable. The weather was awful, raining and blowing a gale. The pub is situated on high ground and the wind was very evident. Having said that, many brave souls faced the weather and turned out. As usual, Natasha and Andy (mine hosts) looked after us very well, the food and atmosphere is always good. 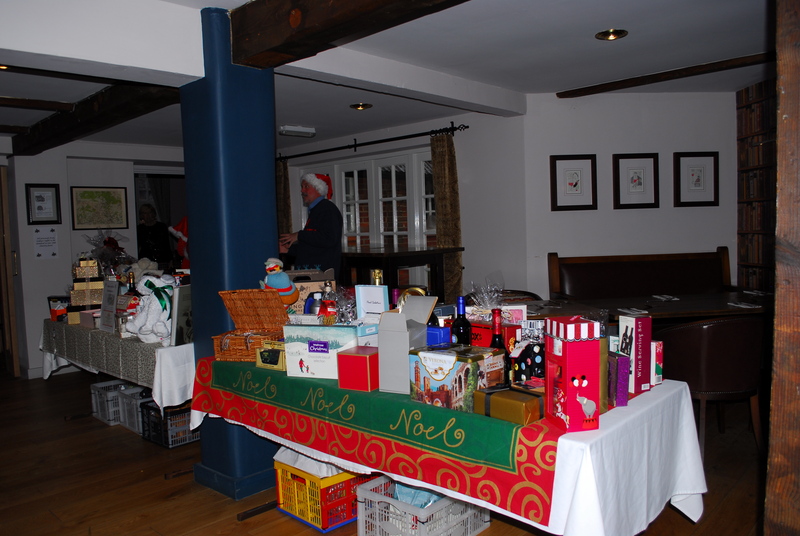 The raffle this year was extraordinary with 83 superb prizes on offer and raised £217.00 for our charity fund. We were again lucky to have another fantastic food hamper donated by Wendy and Dave Brooks, this was raffled off and made another £100 for the charity fund. For the past few years we have supported the Salvation Army Christmas Food Run Appeal with a collection of food and clothing. This year’s collection of donations was amazing to see and filled the back of my estate car when I delivered the items later that afternoon to Mary Randell. Mary has organised the food run for many years and is totally dedicated to helping the needy and homeless. The Walhampton Arms is already booked for 2018, the date being December 9th, please put a note in your diaries and join us if you can.